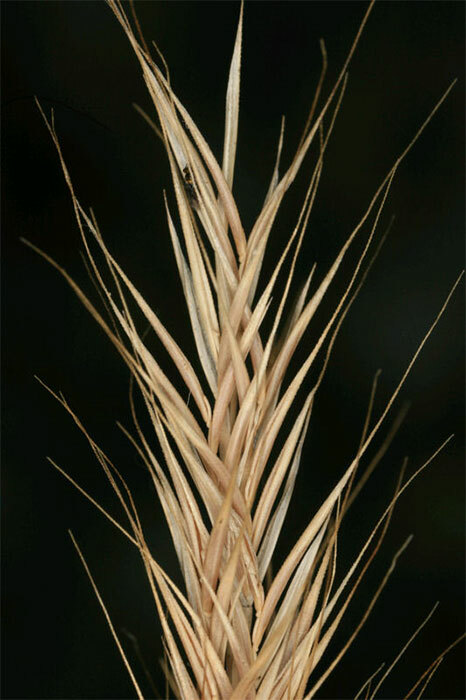 In addition, V. bromoides seed heads protrude fully from the leaf sheath when mature while V. myuros mature seed heads are enclosed by the uppermost leaf sheath or only protrude a little from the sheath. It lives in a wide range of soil types and can grow in nutrient poor soils. Seeds stick well to fleeces, hides and clothing, enabling them to spread far from the parent plant. Vulpia hosts diseases of cereals and causes problems in small seed production, as it reduces yields and contaminates the product. 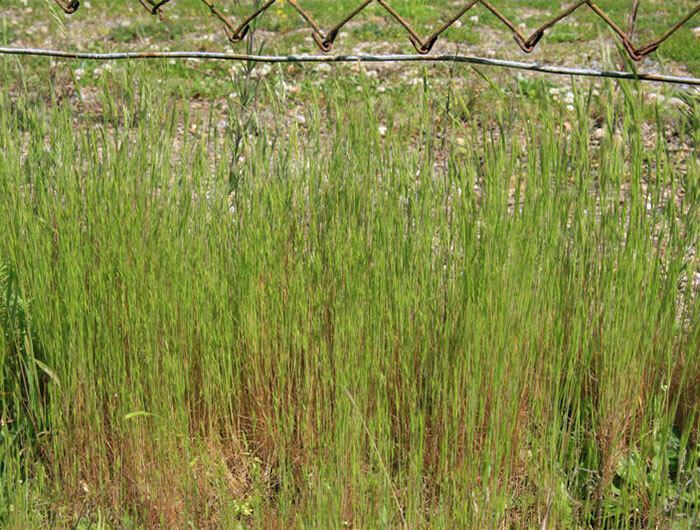 Sowing one or more (successive) crops before establishing the pasture can allow the use of a selective grass herbicide to control vulpia. Making hay (e.g. 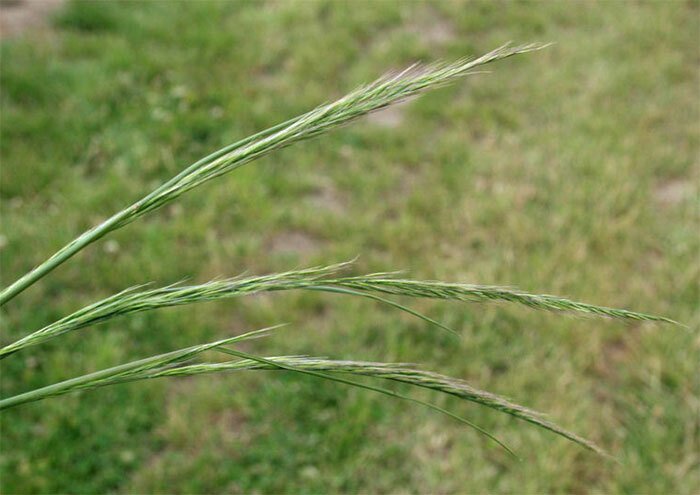 in December) can allow vulpia seeds to mature in the paddock before the hay is cut. 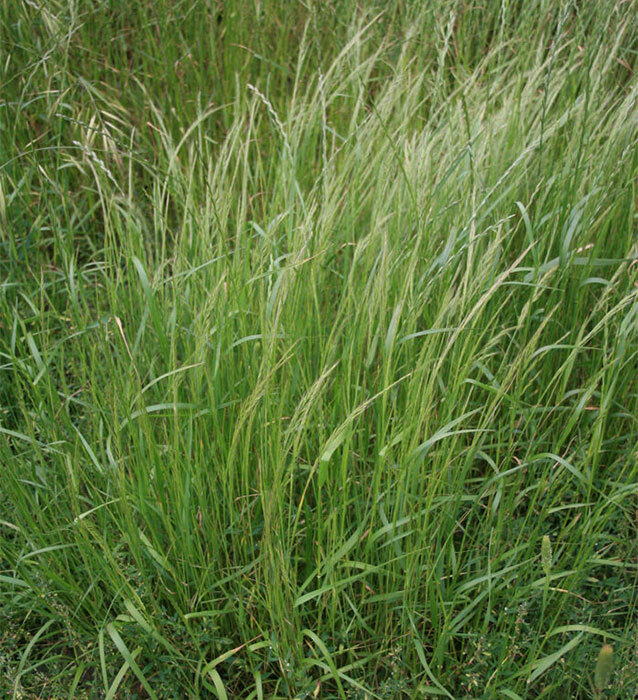 Seeds may be dispersed in paddocks where the hay is fed out; making hay is not a good way to control vulpia. Rotational grazing proved better than continuous stocking for limiting the spread of vulpia in dryland pastures grazed by sheep in southern Australia (- see references under ‘Further Information’). Code GR 1996. Why vulpia is a problem in Australian agriculture. Plant Protection Quarterly 11: 202- 204. Dillon SP, Forcella F 1984. 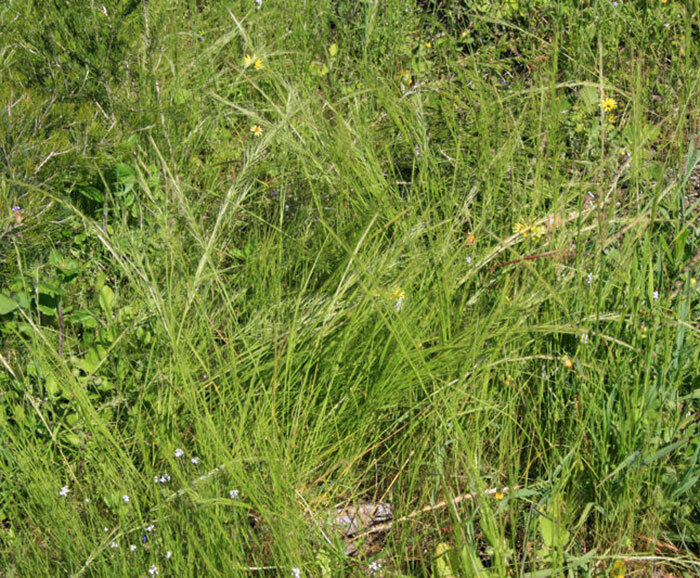 Germination, emergence, vegetative growth and flowering of two silvergrasses, Vulpia bromoides (L.) S. F. Gray and Vulpia myuros (L.) C. C. Gmel. Australian Journal of Botany 32: 165-175. Dowling PM 1996. The ecology of vulpia. Plant Protection Quarterly 11: 204-206. Dowling PM, Millar GD, Milne B, Newell P 2009. Using plant development to determine optimum times for spraytopping, and assessing effect of grazing and double/repeat herbicide applications on regeneration of vulpia. Plant Protection Quarterly 24: 32-38. Foundation for Arable Research, 2008. 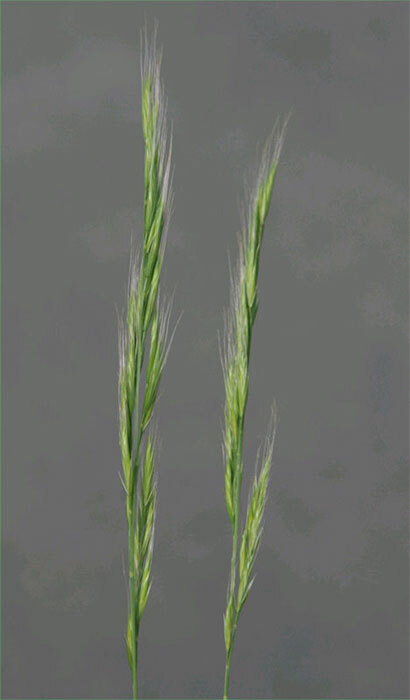 Hairgrass (Vulpia spp.). What do we know? A review of the literature. Weeds, Pests & Diseases. No.78 May 2008. (accessed 4 August 2014). Tozer KN, Lucas RH, Edwards GR 2007. 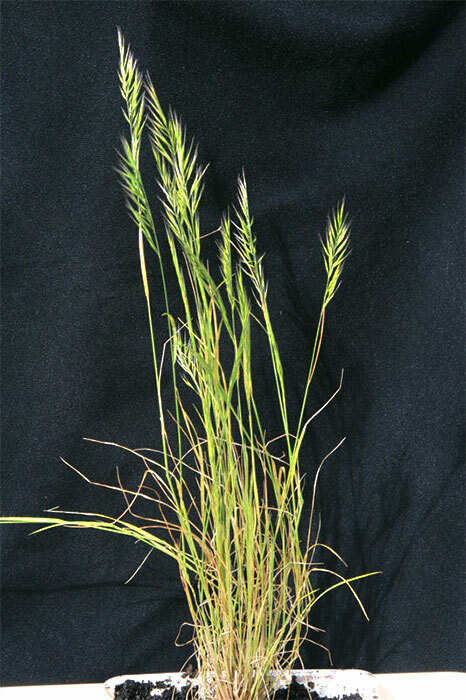 Suppression of annual grass weeds by AR542 endophyte infection in dryland tall fescue pastures. New Zealand Plant Protection 60: 164-167. Tozer KN, Chapman DF, Quigley PE, Dowling PM, Cousens RD, Kearney GA 2008. Effect of grazing, gap dynamics, and inter-specific seedling competition on growth and survival of Vulpia spp. 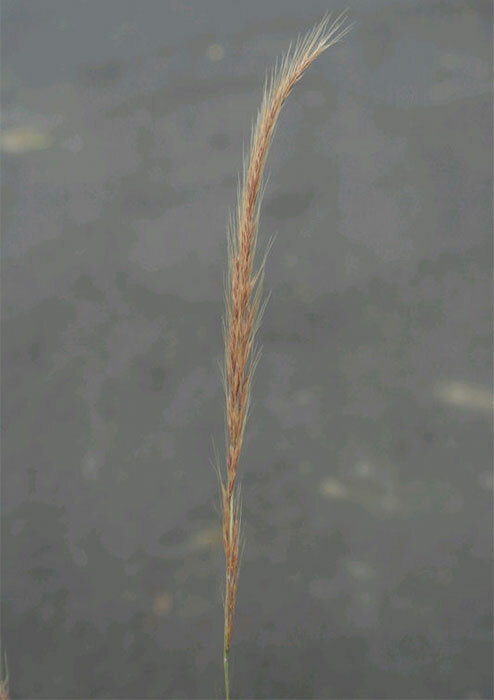 and Hordeum murinum ssp. leporinum. Australian Journal of Agricultural Research 59: 646-655. Tozer KN, Chapman DF, Quigley PE, Dowling PM, Cousens RD, Kearney GA 2009. 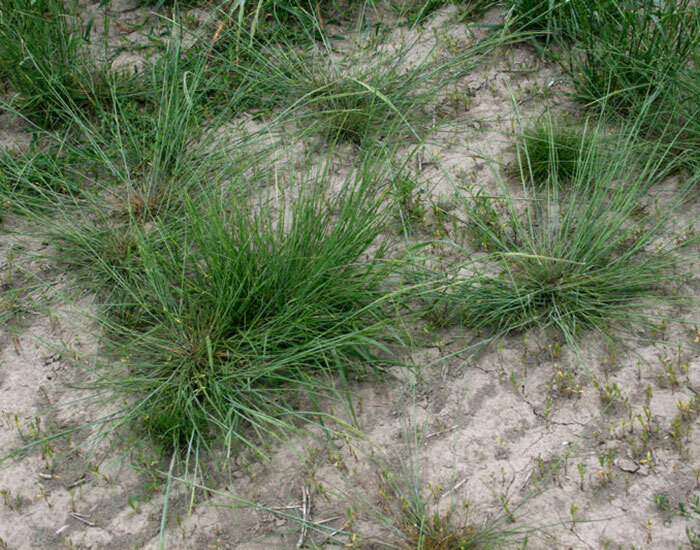 Integrated management of vulpia in dryland perennial pastures of southern Australia. Crop and Pasture Science 60: 32-42.